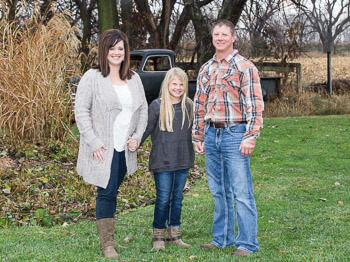 About Heartland Family Chiropractic, P.C. Founded in 2008, Dr. Chelsa is thrilled to have been serving the Lexington community for just under a decade. We hope the next 10 years bring even more health, happiness and healing to the Heartland! At our practice, Lexington chiropractor Dr. Chelsa aims to provide quality, safe and effective chiropractic care for families and children of all ages. When it comes to kids, she believes there’s nothing better than adjusting a child to help them grow healthy and strong for life instead of waiting until a problem surfaces later on. If you’d like to learn how chiropractic care can help you or your family, we’d love to speak with you. Contact our practice today to get started. We look forward to meeting you!